Mark your calendars for our second annual "Miles for Missions - Mission Youth Detroit 5k" on Sunday, October 14th 2018. The race will take place at the beautiful River Bends Park in Shelby Township, MI again this year, and we couldn't be more excited! If you're interested in being a race sponsor, please e-mail us at info@missionyouthdetroit.com. Last year in 2017, we were able to raise over $4,100 for Mission Youth Detroit. This incredible accomplishment would not have been possible without your participation and support. On behalf of Mission Youth Detroit, we would like to extend a heartfelt thank-you! All race proceeds go towards helping our local communities that are most in need - YOU are making a big difference for our friends here in metro-Detroit! Use the link below to view the race results. John Paul Home Health Care, Inc. is a health care company striving for excellence to achieve Quality Care. JPHC provides highly trained, experienced staff that will go the extra mile to assist patients and their families to be more independent in managing their own illness, reduce hospitalizations, and become more functional in activities of daily living. From a single office that opened in 1973 in Denver, Colo., RE/MAX has grown into a global real estate network of franchisee-owned and -operated offices with more than 100,000 sales associates. Those agents, like our friend Carol Vitale, constitute the world's most productive real estate sales force. Through their efforts, they've made it possible to say that nobody in the world sells more real estate than RE/MAX. ​Our mission is to provide the best outpatient physical therapy, occupational therapy and speech therapy in the Midwest. We want our patients to enjoy therapy and experience clear improvements in their health. Our clinics receive the highest levels of patient satisfaction and our patients receive the best objectively measurable outcomes. Our strategy, based on excellent quality and patient satisfaction, is gaining momentum. Waterford dentist Dr. Amanda M. Sheehan has become known for her relentless dedication to remaining on the cutting edge of dental care practices. A member of all five major dental associations, Dr. Sheehan continuously strives to be completely up to date on new developments in dentistry. Dr. Sheehan has a history of pursuing excellence in all endeavors. ​Home of the Fred's Chicago Style Pizza. This is one of a kind pizza perfected by Fred and his son with two layers of our famous pizza crust stuffed with tipple the amount of our premium mozzarella our awesome pizza sauce and your favorite toppings then topped with garlic butter and Parmesan cheese. Everest Collegiate High School and Academy is an independent, private school providing a Christ-Centered authentically Catholic educational experience designed to develop leaders who are capable of utilizing their strengths, so they can fulfill the unique plan that God has for each of them. Our efforts as a school concentrate on helping students excel in four main areas: Academics, Spiritual Formation, Character Development, and Service to Others. 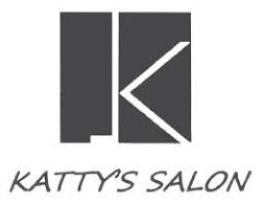 ​At Katty Salon our customers know as soon as they walk in they will be pampered and will be receiving the BEST salon Services in South East Michigan, Our salon beauty experts will always ensure that every customer will experience the experience we are known for. Our highly trained and professional beauty team & spa professionals work together to offer the best hair, Facials, Waxing, Spray tanning & Make-up beauty needs, We are confident in achieving this by using only the best, Top of the line quality Hair & Skin products. ​At Neiman's Family Market we have brought our family's history with us. From Grandma Sophie's recipes to the way we follow Grandpa John's high standards in quality and customer service. Over the years we have followed two other rules: hiring exceptional staff to serve our guests and growing a deep relationship with the communities we serve. ​The United Auto Workers Local 228 is an amalgamated Union representing working people in all different fields of business. The mission is to protect Collective Bargaining rights for all and to provide workers a voice in the workplace. Local 228 was established in 1948 and currently represents 2457 active Members and 2492 Retired Members. Solidarity Forever! ​Culver’s® is a family-favorite restaurant known for cooked-to-order ButterBurgers, handcrafted Fresh Frozen Custard and Wisconsin Cheese Curds. Welcome to delicious®. Connor started DJing in the spring of 2012 with a JVC receiver, an iPod, and a pair of shelf speakers. Since then, Plunkett has steadily upgraded his equipment to professional grade audio and lighting. He enjoys the strategy that is involved in playing the perfect song at the perfect time and also enjoy being able to witness the special moments in people's lives through the disc jockey business. Murphy Trucking Inc. is a licensed and bonded freight shipping and trucking company running freight hauling business from Allenton, MI. For your future shipping needs contact our friends at Murphy Trucking at (810)-614-6201. ​Simply Natural Health Foods, Inc.
... for their generous contributions!